The holidays have long been synonymous with work parties or simply a party at your own home with family and friends. And while many of us take pride in the gift we may exchange with someone else during this time of year, there are some of us out there who may be borderline clueless in this department. 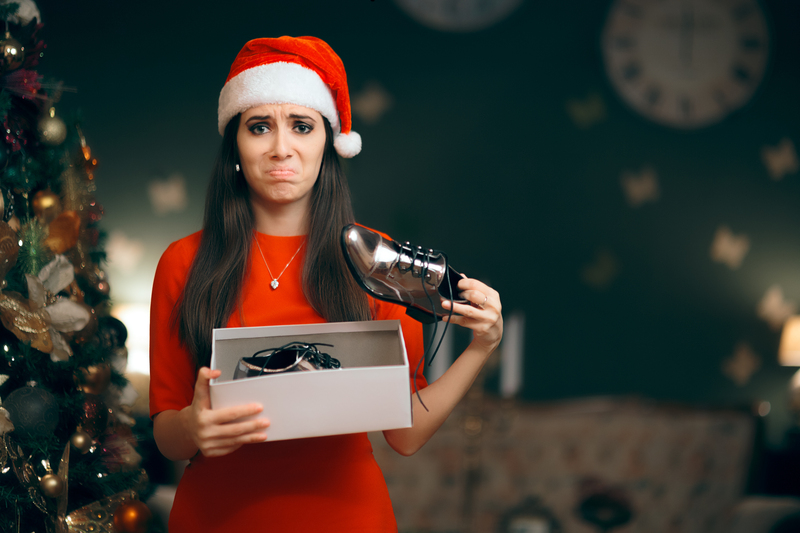 This list is a focus on those aforementioned borderline clueless folks, as many of our readers wrote in to let us know some of their worst received gifts of all time. “My cat was more freaked out by the contraption than anything else, to be honest,” says Eileen Florentino of Bethesda, MD, as her brother who lives in Arizona had sent her a package for Christmas last year that he was certain her cat would “adore, begging for more”. Isabella Lewis of Chantilly, VA told us about a church Christmas party she once attended and was bewildered by the gift of Deluxe macaroni and cheese. “I complimented this lady’s mac and cheese at a potluck once so I think she appreciated my kindness a bit too much,” Isabella believes. David Kim of Arlington, VA unwrapped his Secret Santa gift one year only to glare at spiked blonde tips and a visor staring back at him in a box. Turned out, it was a Guy Fieri hat! “Everyone knows I’m a die-hard Breaking Bad fan but the Breaking Bad ‘ice cube tray’ gift from my coworker buddy at my Christmas party this year, well, it really had the HR department raising their eyebrows,” Noah Kauffman of Arlington, VA told us via email. DC Life Magazine staff writer Eschelle Demure still can’t believe an ex-boyfriend of years past bought her a multiple-pack of white socks for Christmas and nothing else. To make matters worse, they were men’s socks! Eschelle rolled her eyes when we asked her if her and the ex-boyfriend spoke after that gift. Merry Christmas now get to work! Jackie Malone says her work Christmas parties have almost zero character. She stated to us during our submission call that at least every other year, her and her colleagues get new calculators wrapped in Christmas wrapping with a shiny red bow. By our calculations, that’s a crummy party! “Our nosy neighbor who always stared into our living room windows in passing once burned my family a copy of Toy Story 3 and gifted it to us alongside a bag of Pop Secret popcorn,” Anna Inez wrote in to us, “and there was also a note attached that said how she thought we hadn’t seen this movie yet and how we must find time to watch it.” Nosy neighbors watch everything you watch, apparently. Jenny Jafari got a kick out of her sister-in-law having three happy meal toys professionally gift wrapped before gifting her toddler, and it wasn’t even a joke. Maybe it’s the thought that counts? Marcus Tillman of Atlanta, GA was enrolled in a culinary school a few years ago and his parents thought they knew what they were doing when they bought him “Tater Mitts” from As Seen On TV for Christmas to use at school. “These ‘Tater Mitts’ swear on the perfect potato grip, but if I ever wore those in the professional culinary school kitchen then I might’ve been sent home for the day by the chef,” Marcus said.